Big efforts were required — and delivered — in a pair of graded stakes Saturday at Monmouth Park. Money Multiplier lived up to his name by repeating as the winner of the Grade 2 Monmouth Stakes on Saturday, putting an exclamation point on a stakes-filled card that resulted in the highest handle at Monmouth Park in nearly three years. 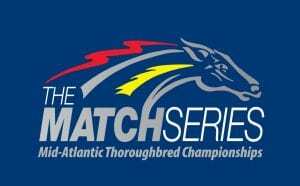 One race prior, fan favorite Page McKenney scored a mild upset to take the Grade 3 Salvator Mile, a $100,000 test that also served as the first event in the male route division of the Mid-Atlantic Thoroughbred Championships (MATCH) Series. The win gives Page McKenney 10 points in the MATCH Series. The hard-hitting Page McKenney rallied from well off the pace to capture the supporting feature, the Grade 3 Salvator Mile, scoring a half-length victory over Shaft of Light in the $100,000 event. It was the 8-year-old gelding’s 22nd career win in 56 starts and his first appearance at Monmouth Park. Ridden by Horacio Karamanos, Page McKenney paid $17.60 to win and covered the mile in 1:36.49. 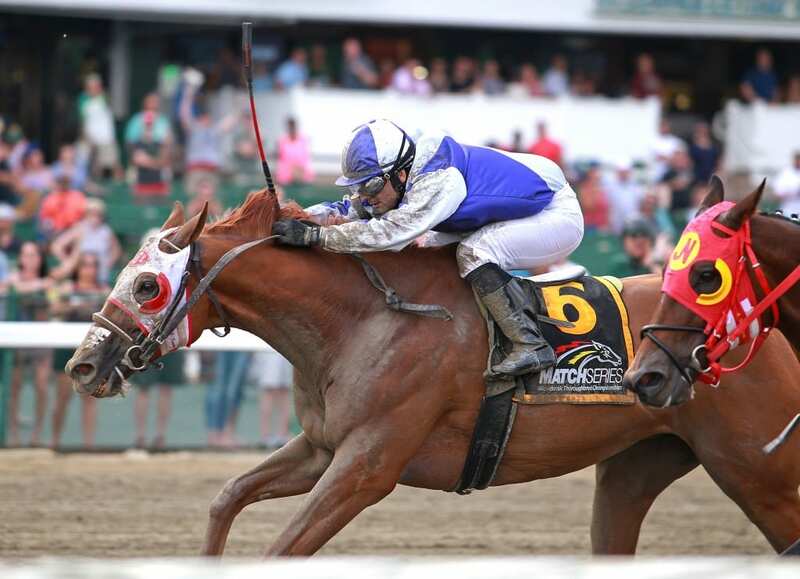 Page McKenney, a Pennsylvania-bred Eavesdropper gelding, rallied from mid-pack to run down the speed of Shaft of Light. New Jersey-bred Sunny Ridge, foiled in his bid to become a millionaire, was another length-and-a-half back in third. Page McKenney is about $30,000 shy of reaching $1.9 million in career earnings. In the feature, Money Multiplier was sent off at 4-1 in the select field of five. Money Multiplier ran down a determined Projected in mid-stretch and then held off the late-charging Divisidero to win the $200,000 test by three quarters of a length in the mile and an eighth grass race. The handle total of $5,953,670 was the track’s highest since July 5, 2015 on United Nations Handicap day. Trained by Chad Brown, who led all conditioners in money won on the grass a year ago, and ridden by Joe Bravo, who has a record 13 Monmouth Park riding titles to his credit, Money Multiplier was well positioned throughout, stalking the pace-setting favorite Frostmourne. When Bravo swung his charge wide in the final turn past a tiring Frostmourne, he then had to reel in Projected before staving off the challenge of Divisidero, a Grade 1 winner. Money Multiplier won the Monmouth Stakes last year as the race favorite. Money Multiplier, a 6-year-old son of Lookin At Lucky-Intensify, notched his fifth career victory, pushing his earnings to more than $1.1 million. He covered the nine furlongs in 1:46.79. Dark Artist, a 3-year-old filly trained by Jane Cibelli and ridden by Trevor McCarthy captured the $75,000 Boiling Springs Stakes, holding off favored Reversethedecision by three quarters of a length. Dark Artist paid $15.60 to win in a field of 10 fillies going a mile and a sixteenth on the grass. In the John J. Reilly Handicap Brother Chub ran down his full brother Chublicious to win the $60,000 six-furlong dash by 2½ lengths. Trained by Michael Moore and ridden by Jose Ortiz, Brother Chub won his fourth straight race and his been first or second in all 12 starts since being claimed for $12,500 more than a year ago. Chublicious was seeking his third straight win in the John Reilly, but the victory by his full brother means their sire – Hey Chub – both won the Reilly (in 2007) and sired two winners of the annual stakes.